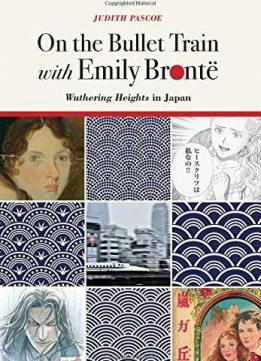 While teaching in Japan, Judith Pascoe was fascinated to discover the popularity that Emily Brontë’s novel Wuthering Heights has enjoyed there. 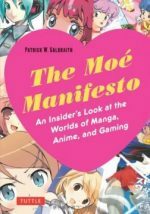 Nearly 100 years after its first formal introduction to the country, the novel continues to engage the imaginations of Japanese novelists, filmmakers, manga artists, and others, resulting in numerous translations, adaptations, and dramatizations. On the Bullet Train with Emily Brontë is Pascoe’s lively account of her quest to discover the reasons for the continuous Japanese embrace of Wuthering Heights, including quite varied and surprising adaptations of the novel. 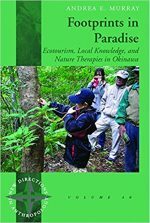 At the same time, the book chronicles Pascoe’s experience as an adult student of Japanese. 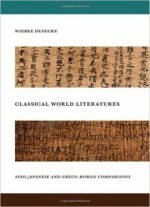 She contemplates the multiple Japanese translations of Brontë, as contrasted to the single (or nonexistent) English translations of major Japanese writers. Carrying out a close reading of a distant country’s Wuthering Heights, Pascoe begins to see American literary culture as a small island on which readers are isolated from foreign literature.